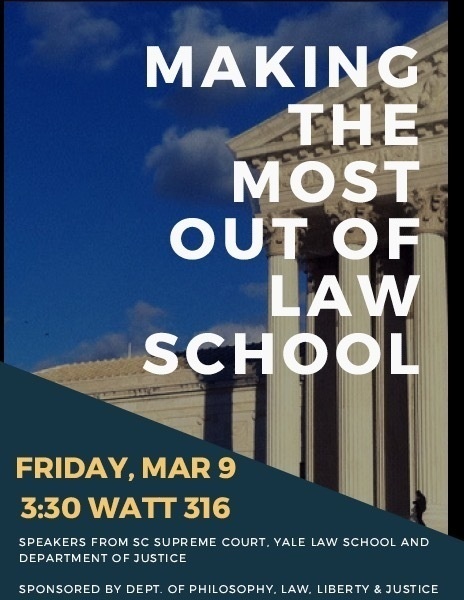 Betsy Goodale and Courtney Dixon will address how to make the most out of your law school experience. Goodale (Clemson '85, USC Law '91) is the Chief Staff Attorney at the South Carolina Supreme Court. Dixon (Clemson '12, Yale '15) is a staff attorney in the Civil Division of the Department of Justice.